NBN-ready office phone solutions. Options for on-premise and cloud. Set your business free with SIM only, no contract mobile plans. Choose traditional broadband, future-proof NBN or high-speed ethernet. 1300 numbers, conferencing, e-fax, desktop sms and more. 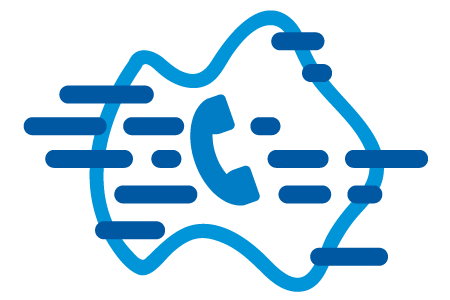 MyNetFone operates its very own IP communications network (the largest of its kind in Australia). Our smart, modern voice network uses NBN-ready technology that avoids the costs and complexity of the old-fashioned telcos. Our network and products are purpose-built for modern business, helping you work flexibly, scale rapidly and future-proof your communications.